Polish up your dance shoes, stock up on fake tan and turn up the tulle, because Baby Ballroom is going to have you wishing you knew how to cha cha cha! The pocket-sized movers and shakers! Baby Ballroom has landed on Netflix and it’s all your spangly dreams come true. This British reality series follows the students of Wolverhampton’s ZigZag Dance Factory as they tackle ballroom dancing lessons and competitions in search of the perfect twirl … and hopefully hundreds of trophies!! Mentored and motivated by fearless, funny mum and dad team (and former world-class dance duo) Warren and Jane, this series depicts these brilliant kids facing off against the best in their age bracket, searching for the perfect dance partner, juggling all kinds of little kid and big kid challenges and being incredibly entertaining. The stars are gobsmackingly watchable thanks to plenty of talent and sass, gliding about the dance floor more confidently than most adults – and very often sweetly placing their friendships ahead of those shiny trophies. 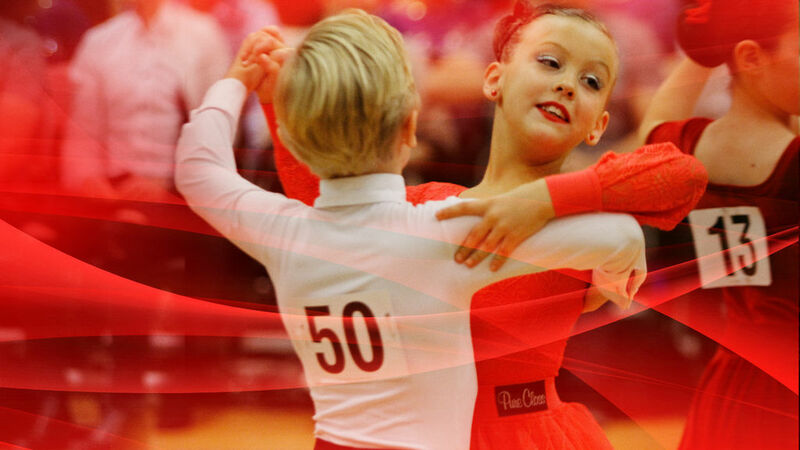 Meet the mini-movers who are quickstepping their way into the world of competitive ballroom dancing. Baby Ballroom starts on Thursday at 9pm. While the series also shares the very passionate and committed stories of some amazing young adults, it’s those adorable tiny kiddos that really steal the show. The teachers are endlessly patient, enlisting the help of inflatable bananas, play, deal brokering and even more trophies to get the best out of their little charges. Need some Monday motivation? Look no further. This show is a delight to watch, not only because the highs and lows of dance competitions will have you on the edge of your seat, but also because it serves up some brilliant life lessons on persistence, a trusty work ethic, being a good buddy, togetherness, family, maintaining your sense of humour and being humble in victory and defeat. The finesse-y, fair and very funny Warren and Jane nurture and care for their students brilliantly, and the whole thing is basically a giant dose of feel-good, wrapped up in a very shiny and sequin dotted bow.